"I want a Wingman1 filter and ship me a set of replacement pads for $10.99 on a schedule I choose!" "I want a Wingman1 filter and I will order a year supply of replacement pads for $49.97 when needed!" Select your option and filter size below! After purchasing a Wingman1 with Auto-Ship you will only be charged $10.99 for a set of replacement pads based on the frequency YOU choose below. Subscribers may adjust the replacement pad frequency, suspend or cancel the auto-ship at any time from your online account. The initial purchase of the Wingman1 will come with a set of replacement pads. The 1” electronic Wingman1 filter- utilizes the latest technology, with superior design and efficiency, enabling it to capture 0.3 - 0.5 micron respirable particles that can trigger allergic reactions. Our filter incorporates a powerhead which only requires 24-volts from a supplied UL approved class 2 power supply to operate ($1/yr.). The adapter is similar to a cell phone charger. 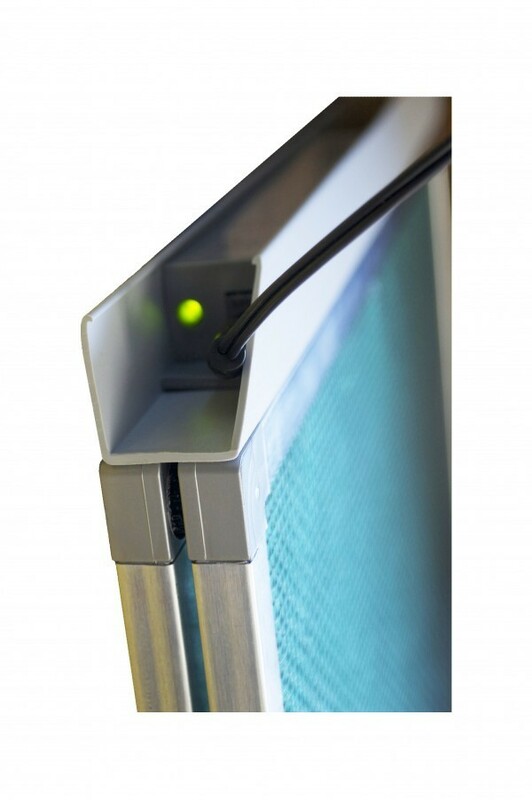 When the charge created by the power head is applied to the center screen it creates an electrical field, which causes the respirable sub-micron particles to adhere to the filter pads. If your heating or cooling system uses a single one-inch thick throwaway type of cardboard and glass fiber filter, simply slide the Wingman1 air filter into the old filter slot. 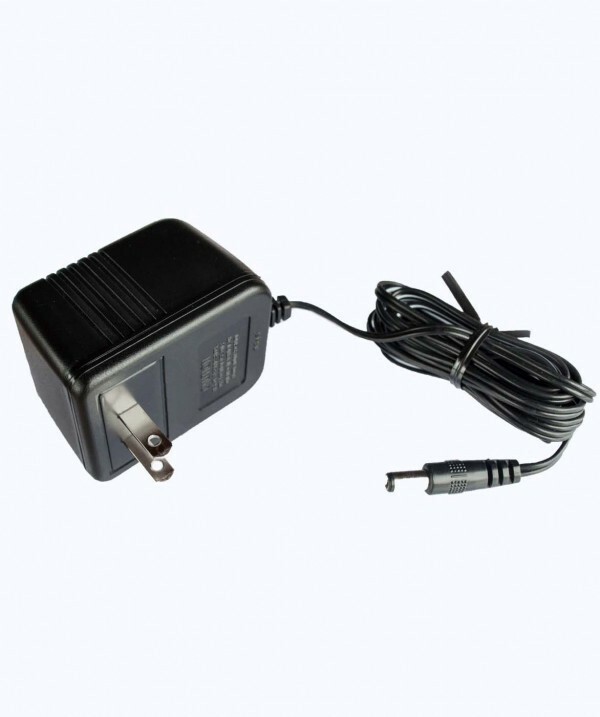 Plug the 24-volt AC adapter into a nearby 115 volt standard electrical receptacle. Plug the jack into the power supply for the filter, taking note that the green light comes on. And install the filter cover making sure the supply wire is not being pinched. The fiberglass media is manufactured from 100% recycled crushed glass known as “cullet." The continuous glass fiber manufacturing process eliminates the potential hazards of respirable fiberglass particles within the media pad. The diameter of each fiber is greater than 18 microns. This is well above the 3.5 micron size that has been attributed to health concerns. The fiberglass media becomes polarized by the charge from the power supply and acts like a powerful magnet to attract sub-micron particles. 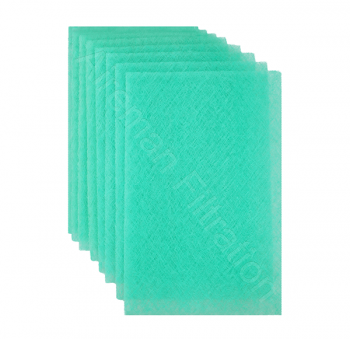 Each replacement pad shipment consists of 2 pieces of fiberglass, cut specifically to your filters size. Each change requires 2 pieces of fiberglass and is recommended to be changed every 3 months. The initial purchase of the Wingman1 will come with a 3-month supply of replacement pads. Perfect for people who have allergies. Great filter, easy set up! The only way I can remember to replace my filter. Best filters out there. Our Wingman1 Filter utilizes polarized media technology enabling it to capture submicron respirable particles that can trigger allergic reactions. The filter’s center screen design provides uniform distribution of the electrical voltage to polarize the surrounding fiberglass media. This design provides for the most economical filter media changes while still removing the smallest (submicron) particles. The Wingman1 is designed for very low air flow resistance while other manufacturer’s pleated replacement air filters have significantly MORE air flow resistance, which will reduce the performance of most heating and cooling systems. This product does require electricity to operate. The provided transformer gets plugged into a standard 115 volts wall receptacle which transforms this voltage to 24 Volts AC, supplying it to the input jack on the filter powerhead. The power head takes 24 Volts AC and outputs voltage up to 6000 Volts DC to energize the center screen within the filter. Our product does NOT generate hazardous ozone. 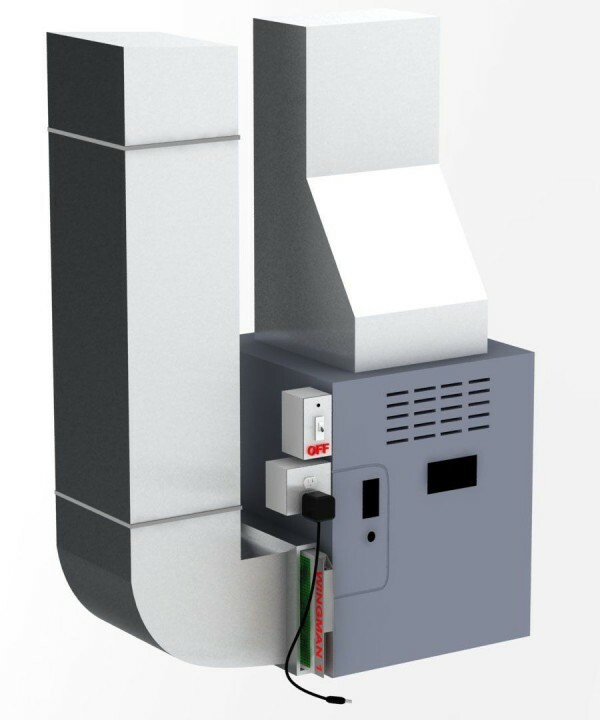 Other manufacturer’s significantly more expensive electrostatic air cleaners publish equipment ozone emission concentrations below FDA limits – however it is the buildup of ozone within your living space that should be considered. The phrase "good up high - bad nearby" has been used by the U.S. Environmental Protection Agency (EPA) to make the distinction between ozone in the upper and lower atmosphere. This filter is the “just right” solution. NO ozone, LOW air flow restriction, HIGH performance, and ECONOMICAL operation! 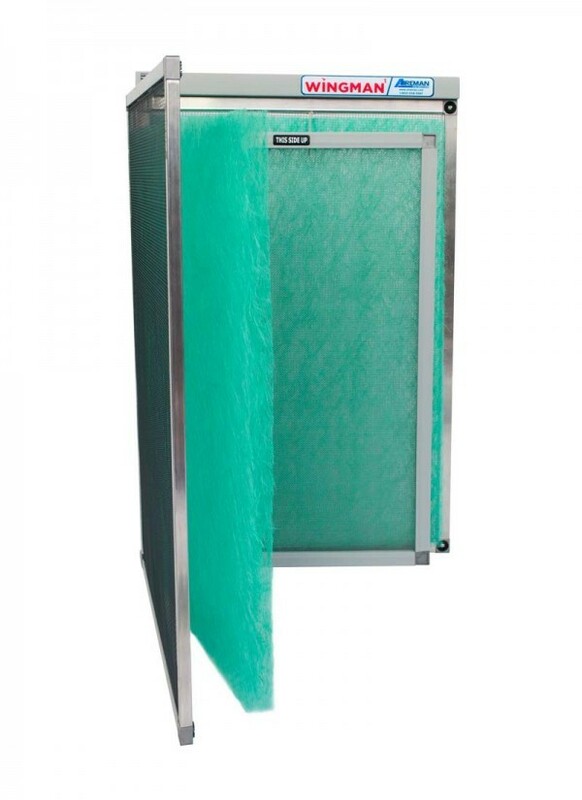 And YES – our filters are UL 867 approved for operation in HVAC systems. Click any of the videos below to learn more about The Wingman1 Filter!